A replica of a marble portrait head of Antinous, produced using a mould created with 3D printing technology. This replica has been cast from a mould of a 3D print of a portrait head of Antinous, the lover of the Roman emperor Hadrian. He is shown here as the Greek god Dionysus, wearing a wreath of ivy. The original is on display in the Museum in Room 70, in Ancient Greece and Rome. 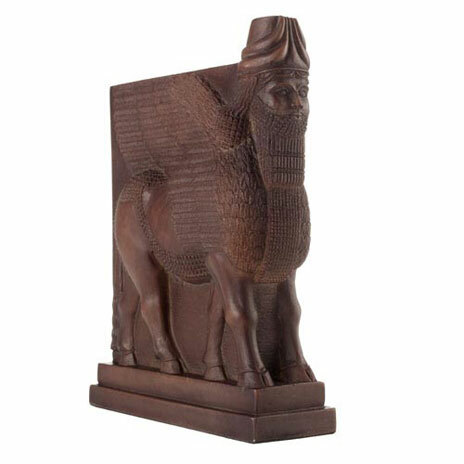 This attractive replica represents the fascinating meeting of modern technology with ancient art, and would make the perfect gift or addition to your home. 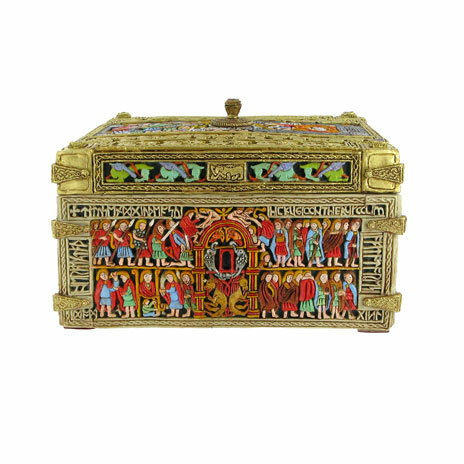 This replica has been created exclusively for the British Museum by ThinkSee3D, experts in 3D digital heritage. It is part of the British Museum's wider work with 3D technology, building on the AHRC funded MicroPasts project. This technology was also used to recreate a replica of the Ancient Egyptian Statue of Roy. 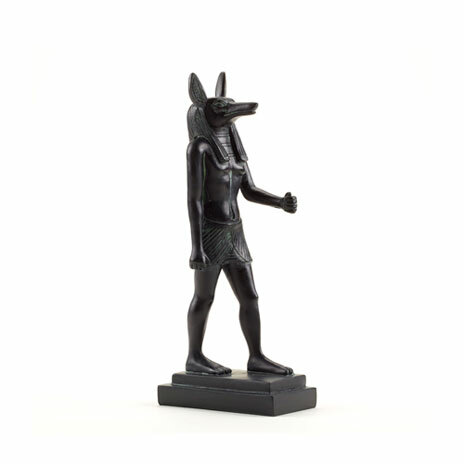 This project is the first time the British Museum has been able to use 3D technology to produce something to buy. This exciting use of technology means that this replica has been created faithfully with no damage to the original object, at a reduced size from the 81cm statue on display. To create a replica, ThinkSee3D takes the British Museum Digital Team's scans of artefacts on display in the Museum?s galleries and produces 3D prints from which moulds are made. These moulds are then used for production of the replicas which are cast using traditional techniques and finished by British artists. The original head was found in 1770 built into a late antique wall on the Gianicolo (or Janiculum) hill in Rome, Italy with other fragments of the statue. Antinous was a young Greek from Bithynia (northern Turkey). In the AD 120s, he became the lover of emperor Hadrian (r. AD 117-138) and joined his court. In AD 130 Antinous drowned in the river Nile in Egypt. Hadrian mourned him openly and Antinous was worshipped as a god.